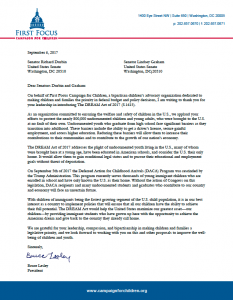 On September 6, 2017, First Focus Campaign for Children submitted the following letter to Senators Richard Durbin and Lindsey Graham, thanking them for the reintroduction of The DREAM Act of 2017 (S.1615). 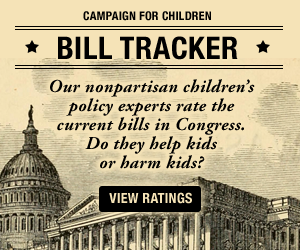 This bill would protect the nearly 800,000 undocumented children and adults who were brought to the United States through no fault of their own. On September 5, 2017, the Trump Administration formally rescinded the DACA program. Congress must act to protect DACA recipients.